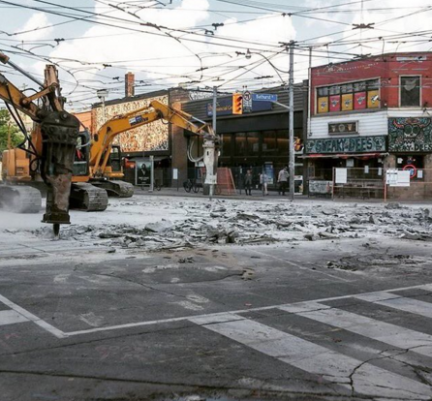 Bathurst and College is under construction till mid-July, but don’t worry we’re open! Come on by, take a seat, open the menu and proceed as normal. You know we are! We’ve got Legends of Karaoke every Monday, What’s Poppin’ every Wednesday, Homesick Friday’s and weekly dance parties up our sleeves as always.